No literally… thank God, because if it wasn’t for fructose then you wouldn’t be here on this planet. In fact, without fructose, human life itself would not be possible. If you have been following the health news in the media to any degree, then you’re likely aware of some of the negative rumors regarding fructose that are being thrown around. Maybe it’s just me, but it appears as if fructose is being accused of some hideous crimes and is quickly working its way up to the top of the Most Wanted list of criminal food offenders. Consuming foods that contain high amounts of fructose—even if it’s a natural product—is, to put it bluntly, the fastest way to trash your health. But are we really sure that fructose is the criminal that we think it is? Could it be that fructose is being framed? All I can say is that hopefully fructose gets the fair and unbiased trial that it deserves. Do you remember the time when we used to presume innocence until proven guilty? Unfortunately, today we tend to have a more backward mentality and assume guilty until proven innocent. Instead of turning on your fruit and blaming it for your health problems, maybe you should really be thanking your fruit for making your life possible in the first place. Is It Fructose or High-Fructose Corn Syrup? Just so that we are all on the same page, fructose is fruit sugar. It’s the predominant form of sugar found in fruits, and is also found in honey, flowers, and even root vegetables. Fructose itself is a naturally occurring substance that has been part of the human diet since the beginning of humanity. While I understand that there is plenty of controversy surrounding high-fructose corn syrup, the recent negative literature has been specifically referring to fructose itself. While fructose itself is naturally occurring in nature, high-fructose corn syrup is an unnatural chemically altered food. So please do not confuse the two or treat them as equals. Regardless, many anti-fructose advocates are pointing at an increase in fructose in any form in our diet as the cause of the modern day obesity epidemic. But, have you ever heard of someone become obese by eating too much fruit? 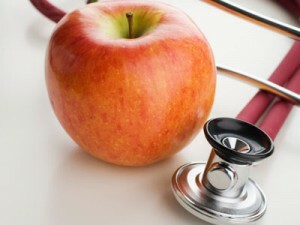 Maybe after hundreds of years we just need to update the proverb to, an apple a day makes you obese and diabetic… But it’s just not as catchy is it? I want to share with you one very important role of fructose that nobody seems to be mentioning and how without it, life as we know it, simply could not exist. Fructose itself is literally the fruit of life. Before we wade through the knee deep muck of medical research that is being spewed today to incriminate fructose, it’s always important to take a step back and first understand the essence of human physiology. If we’ve forgotten how a healthy body is designed to work, then how we can possibly make sense of medical research? Most everyone understands the technicalities of human reproduction. For those who need a little refresher, it requires the male spermatozoa to impregnate the female egg. While this is a very simplistic view of the reproductive process, fructose plays an essential role in making all this possible. 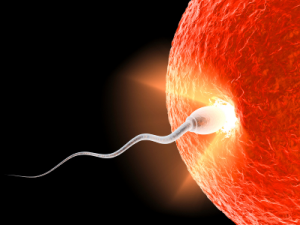 For starters, the male spermatozoa, requires a lot of energy for its journey in search of the female egg. And it gets this energy from none other than fructose. The male seminal fluid is especially rich in fructose and studies have shown that when spermatozoa cannot properly utilize fructose, it results in infertility or degenerative changes in the developing cells. Not only is fructose abundant in the male seminal fluid but it is also abundant in the fluid inside the female uterus, where impregnation and conception occurs. Not only does this female source of fructose provide additional energy for the spermatozoa, it is also the essential source of energy used by both the spermatozoa and egg upon conception. Once conception has occurred, it’s fructose that fuels the rapid cell growth and cell division that makes life possible. Without fructose, conception would simply be impossible. 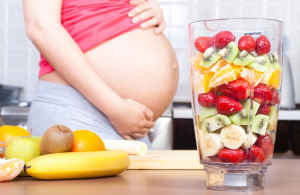 Fructose has also been well documented as the essential source of fuel for the developing fetus. Studies have shown that high levels of fructose accumulate within the amniotic fluid that surrounds the developing fetus and in far greater concentrations than what is found within blood samples of the mother. Fructose is so essential to the developing fetus that fructose from the mother is able to pass through into the fetus, but fructose is unable to pass from the fetus back to the mother. This ensures that a high concentration of fructose is available to the fetus at all times when needed. Polyol concentrations in the fluid compartments of the human conceptus during the first trimester of pregnancy: maintenance of redox potential in a low oxygen environment. The concentrations of fructose, inositol, sorbitol, erythritol, and ribitol were significantly higher in coelomic and amniotic fluids than in maternal serum, but the reverse was the case for glucose and glycerol… These results demonstrate that the polyol pathway, considered vestigial in adult tissues, is highly active in the human conceptus during early pregnancy. Simply put, fructose is an amazingly rich source of energy that is unique in its ability to support the creation and development of life under quite difficult conditions. It is able to support life in a way that no other sugar or source of energy can. Does Fructose Have a Role in Healing Hypothyroidism? Hopefully at some point in time we can begin to see and understand the importance of fructose and its unique ability to support life in a way that will benefit us as adults. In much the same way that fructose is the only energy source with the ability to support the creation and development of life, if used correctly it can also be used to heal your thyroid and your health. This is one of the many reasons why I use fruit and fructose successfully with every single one of my hypothyroid clients. So, before you dismiss fructose entirely, stop and consider that there is an entire other side of the story that you don’t know about. We often forget the parallels between fairy tales and real life as we know it. Instead of looking at fructose entirely as the villain, could it be possible that fructose is nothing more than a modern day Robin Hood, heralded as the Most Wanted man in the land, but in reality is secretly working for the greater good of humanity? Can Reiki Harm the Healer or the Person to Be Healed? What Types of Illnesses Does Reiki Heal and How? What’s an Article Spinner and Should You Be Using One?